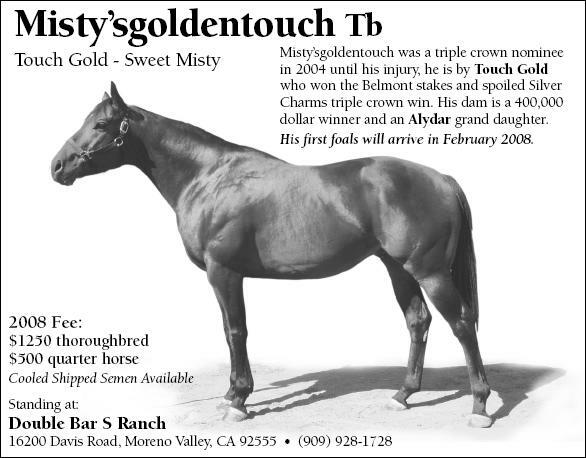 Misty'sgoldentouch is a royally bred, gentleman and a triple crown nominee. 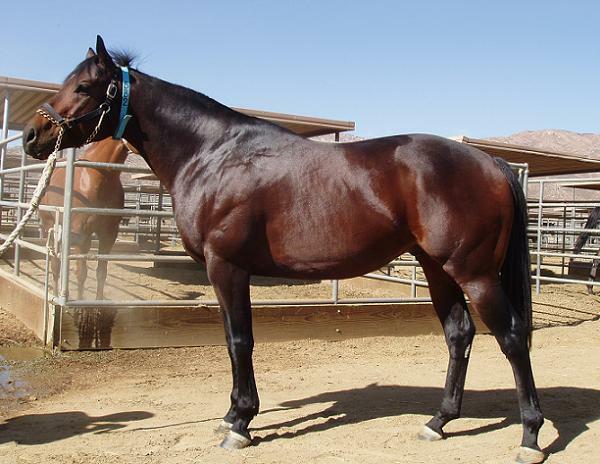 An injury sustained in January of 2004 put a damper on his quest for fame, however, upon his recovery Misty raced again and found himself back in the winner's circle. 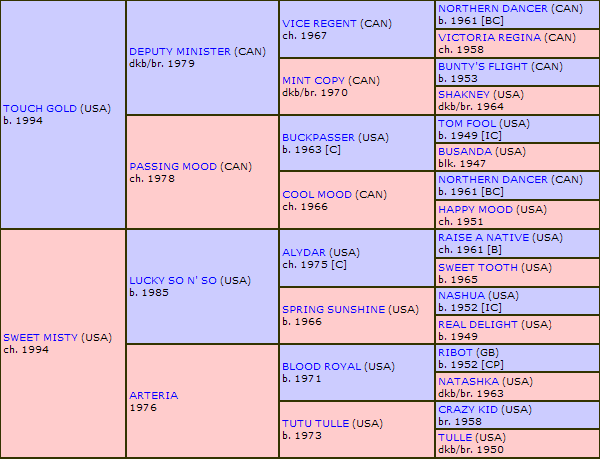 Conformation, easygoing disposition and super pedigree are the qualities that Misty would pass along to his progeny whether it be for thoroughbred or quarter horse racing.